A thornless blackberry that will fruit in first year, producing a good crop of sweet flavoured, glossy black berries. Harvest mid August-early October. Supplied in a 1 litre pot. 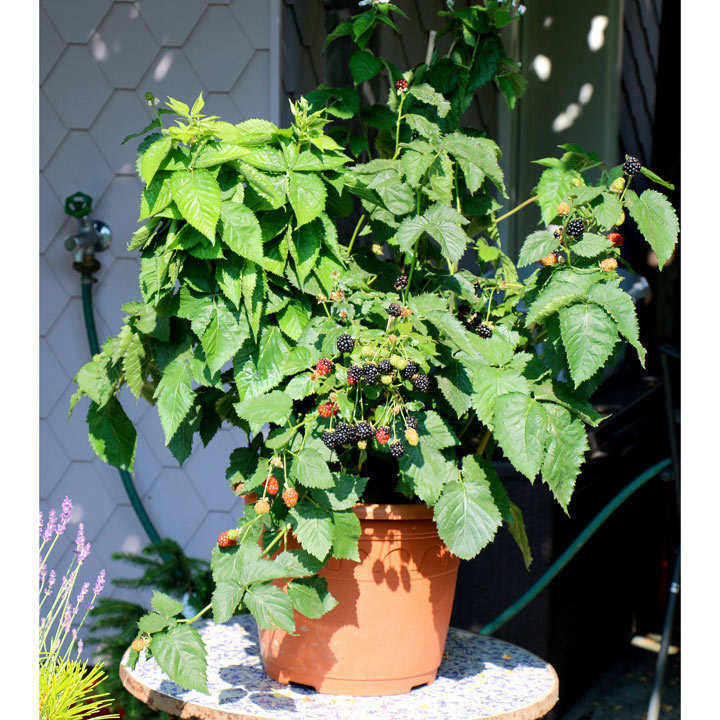 Lowberries are a range of fruit that are selected to be grown simply and effectively in any small space, even balconies and patios. No more than a metre high, but bearing loads of tasty berries!